2018 – Mandarin Oriental, Barcelona is offering guests an opportunity to discover Pablo Picasso’s life as a young painter in Barcelona with its new luxury accommodation offer. Among other benefits, guests booking the hotel’s Picasso’s Kitchen Barcelona Experience will receive VIP passes to the Picasso Museum’s insightful Picasso’s Kitchen exhibition, which reveals the importance of food and cooking in the Spanish painter’s work. Available until 30 September, the Picasso’s Kitchen Barcelona Experience accommodation package includes a walking tour of locations associated with Picasso and special dishes and cocktails at the hotel inspired by his life and work. The young Picasso studied art in Barcelona and began his painting career there at the turn of the twentieth century, before moving to France. Starting at the hotel, the walking tour will head to La Ribera and the Gothic Quarter, where Picasso spent much of his younger years, and will include visits to Quatre Gats restaurant which Picasso frequented, the art school where he studied and Carrer Avinyó, the inspiration for his painting Les Demoiselles d’Avignon. The tour culminates with an exclusive VIP visit to the Picasso’s Kitchen exhibition at the Picasso Museum. The food theme continues back at the hotel, where gastronomic advisor, seven-Michelin star Chef Carme Ruscalleda, has created a Picasso-inspired Salmorejo at Blanc restaurant. Made with bread and tomatoes, the dish is a classic of southern Spain, where Picasso was born, and appears on Blanc’s menu as Homenaje a Picasso. At two-Michelin star Moments, Chef Raül Balam is presenting diners with Pigmentos Picassianos petit fours, which can be found on both the al a carte and tasting menus. Mixologists at Banker’s Bar are celebrating the painter by inventing a new cocktail named 1.623 KM “Ruta Picassiana de Mougins a Málaga” which is the number of kilometers separating the cities where Picasso was born and died (Malaga to Mougins). The cocktail is blue in colour to represent his Blue Period. About the Picasso’s Kitchen exhibition. The main subject of this exhibition is the theme of food and cooking in the broadest sense- As a subject that is ever-present in Picasso’s work, in this exhibition it is considered for the first time. Almost 180 works of art from museums and private institutions and collections from around the world offer a chronological visit through the life and work of Picasso, enabling us to perceive the artist from a fresh perspective. This exhibition is part of the “Picasso-Mediterranée” project, an initiative of the Musée national Picasso-Paris. This exhibition features the special collaboration of chef Ferrán Adrià , enlivening a dialogue between Picasso’s creative process and contemporary culinary creation. Opened 50 years ago, the Picasso Museum was the world’s first art gallery dedicated wholly to Pablo Picasso’s work. Revealing Picasso’s relationship with the Catalan city and his development as an artist there during his younger years, the museum’s extensive collection of paintings, drawings and engravings includes his Las Meninas pictures, the only complete series of his works to be found anywhere in the world. 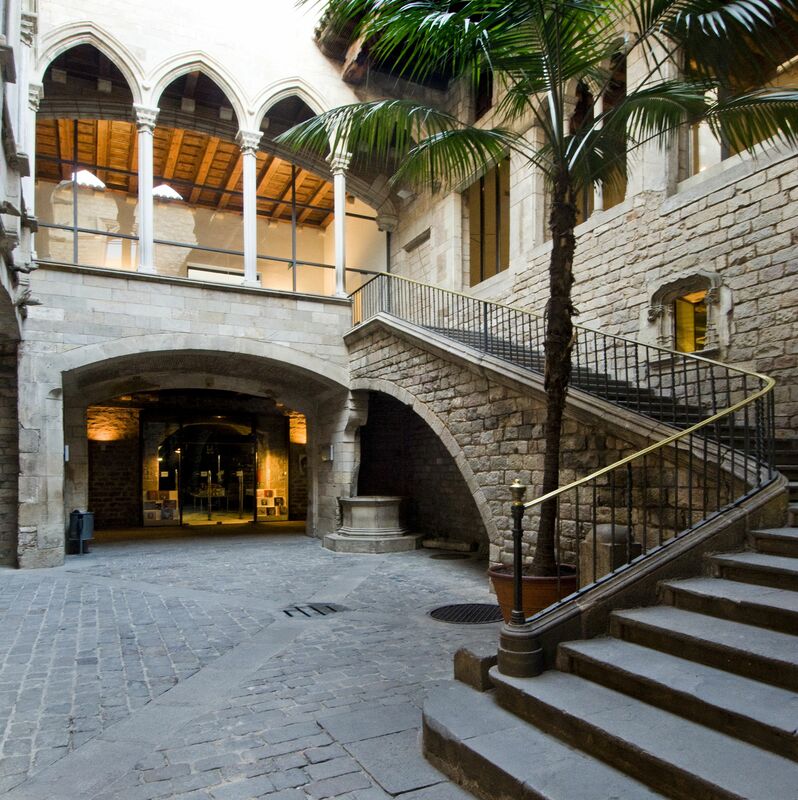 Located within an exceptional architectural space, a set of five Catalan Gothic style buildings, the museum houses a library with a wide range of documentary material about Picasso and the art of his times. The museum also runs educational programmes and involves the local community through a series of outreach projects. The Kind Of Motivation You Need To Lose Weight!